Charming Key West style home in the heart of Lake Ida. This tropical single story 3 bedroom 2 bath home boasts wood & tile floors, vaulted ceilings in living area and updated kitchen with stainless steel appliances. The expansive backyard (fully fenced) offers serene side views of Lake Ida. Boaters paradise! 3 public boat ramps within a 1 mile radius. Surrounded by luxury homes, this gem is a quick bike ride to Atlantic Ave or minutes to beach! Oversized 1 car garage, with an expanded driveway. Well water. 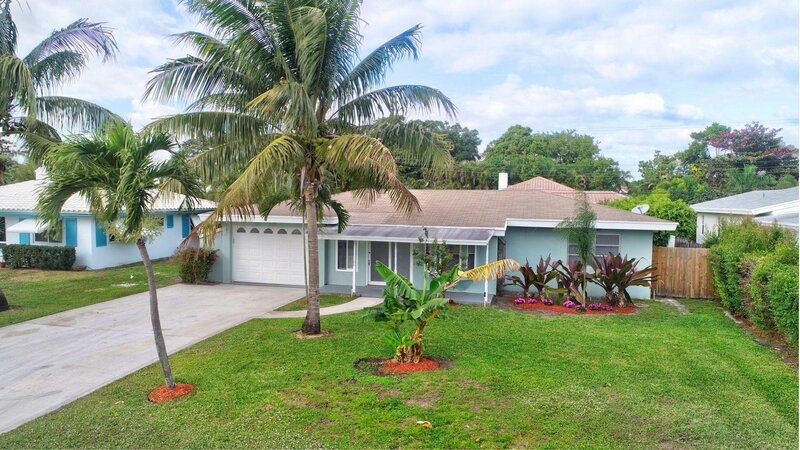 This property offers tremendous potential in the most in-demand neighborhood in Delray Beach - hurry and come get this piece of Lake Ida living!